Latin American rocks our Dead Sled blends. Many coffee drinkers will only drink coffee produced from a particular region – single origin. Often, there is a particular taste characteristic associated with the area. The altitude, climate, and methods of harvesting are among the factors that give these coffees their own unique flavor. While the way you brew the coffee is certainly important to the overall taste, the region that the coffee originates is a major component as well. In general, a good coffee bean growing region offers moderate sunshine and rain, and steady temperatures around 70 degrees. Anywhere around the equator is ideal, thus naming it the ‘coffee belt’. Our Mourning Blend and our Damien Echols blend are both sourced from Latin America. Latin America produces most of the coffee consumed worldwide, with Colombia and Brazil being the leading producers. 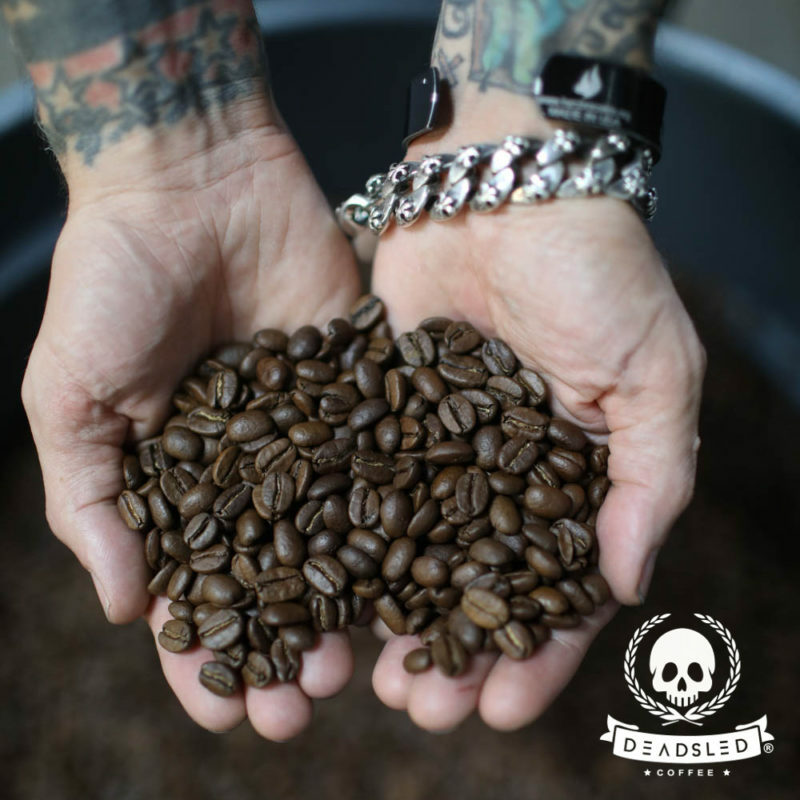 While they produce both Arabica and Robusta beans, Dead Sled has a commitment to ONLY using superior Arabica beans that fall in the top 20% of all coffees on the market. Brazilian coffee can be nutty, sweet, low in acidity, with sweet or bittersweet and chocolate notes. Second in total coffee production, Colombia in contrast to Brazil is known to produce a coffee with medium acidity, full body, and with rich, caramel-like sweet taste. Throw in some Guatemala beans for good measure and you have our Mourning Blend. Take out the Colombian coffee and you have the blend hand pick by Damien for his Tzaadeikel blend. This entry was posted in Dead Sled Coffee Blog and tagged Coffee, coffee belt.